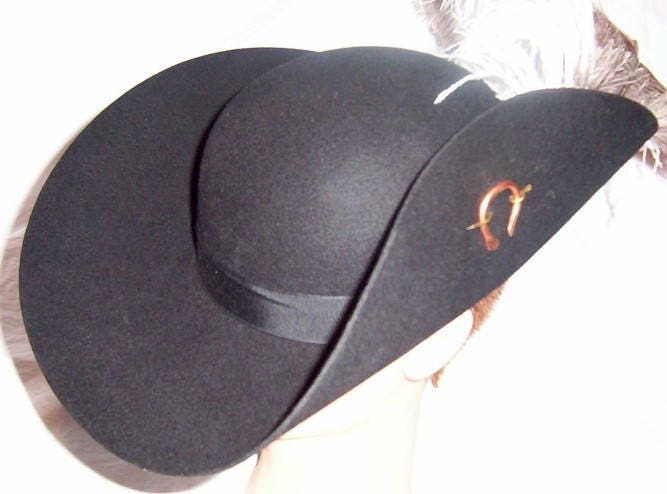 Deluxe Cavalier Pirate hat with sweatband: This hat is made from a finished and trimmed felt hat and is available in sizes S (6 7/8), M (7 1/8), L(7 3/8), & XL (7 5/8). 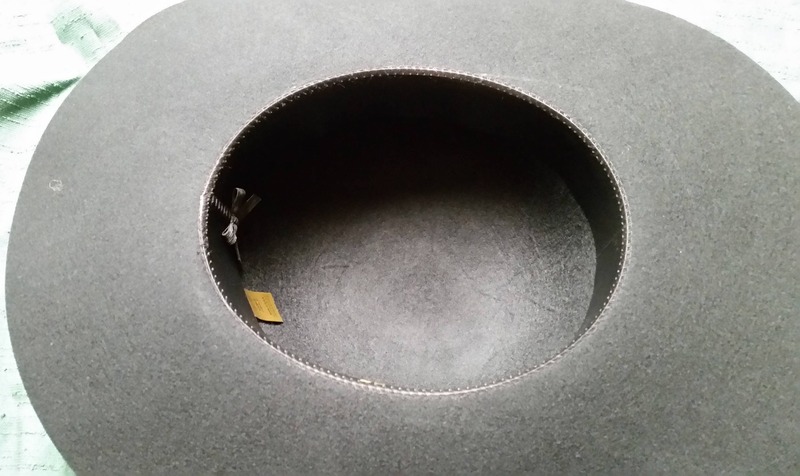 To determine your correct size measure the circumference around where you would wear the hat. Basically, from level with the forehead around. S size is 21 1/2 inches, M size is 22 1/4 inches, L is 23 inches and XL is 23 7/8 inches. The Deluxe version comes complete with sweatband installed and a black ribbon along the base of the crown.. 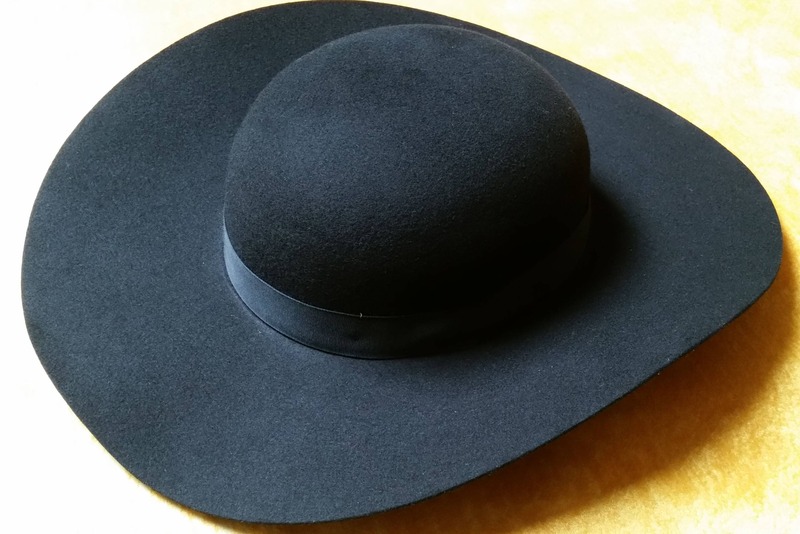 This hat is only available in black. The felt is a bit stiff when you first get it but it will soften up as you wear it and mold itself to fit the unique shape of your head. This hat fits a bit snugger than my regular Cavaliers because of the sweatband. 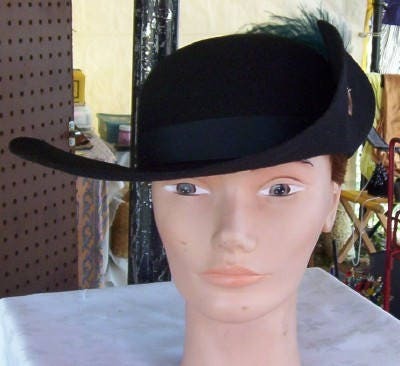 This hat is held up with a handcrafted small cloak pin and comes a feather. You may choose between one large Ostrich feather or two of the smaller Ostrich feathers. You may also choose between Pheasant, Turkey and Peacock feathers if you want two. These can be mixed. Contact me for color availability on the feathers. Please leave me a note for your feather choice when you check out or I can just choose something for you.